Learn about type 2 diabetes and how exercise, combined with healthy eating, can help you to reduce or avoid type 2 diabetes. Exercise helps your body use blood sugar and burn calories. When your doctor recommends you start on insulin, it’s natural to be confused. You might think, if I’m now an insulin, do I have type 1 diabetes instead of type 2 diabetes? Just because you take insulin doesn’t mean you have type 1 diabetes. You are diagnosed with Type 1 diabetes when your pancreas produces little or no insulin. You need multiple insulin injections every day. Usually people with type 1 diabetes are diagnosed as a child or teenager and they going insulin right away. You are diagnosed with Type 2 diabetes when your pancreas produces little insulin and your body is resistant to the insulin it makes. Usually people with type 2 diabetes are diagnosed as adults. Not everyone with type 2 diabetes need insulin injections, but because this kind of diabetes is progressive and pancreas function gets worse over time, you usually need to start insulin at some point. There are some similarities between type 1 and type 2 diabetes, if you have either type you need to eat a healthy diet, exercise, and check your blood glucose levels as per your doctor’s instructions. Along with taking insulin, if it’s required, following those steps will keep you feeling your best. What is type 2 diabetes? Type 2 diabetes is classified as a metabolic disorder affecting most people. This disorder affects your blood sugar concentration to rise higher than healthy levels. Blood sugar is normally regulated by the hormones insulin and glucagon produced by the pancreas. Glucagon raises the concentration of glucose when necessary and insulin lowers the concentration of glucose when necessary. If you have diabetes your body’s ability to control blood sugar has been damaged. Your body cannot utilize insulin properly to regulate blood sugar, this is called insulin resistance. In this instance, your body tries to compensate by signaling the pancreas to produce more insulin in attempt to manage concentrations of blood sugar. Since you have developed insulin resistance this process becomes ineffective and your blood sugar cannot be controlled. This is defined as diabetes or hyperglycemia. Type 2 diabetes is different than Type 1 diabetes in that type 1 diabetes is defined as an autoimmune disease, meaning that the body’s immune system attacks the cells in the pancreas that make insulin. It is most common for type 1 diabetes to be diagnosed in childhood, opposite of type 1, type 2 diabetes is typically diagnosed in adults. Type 2 diabetes occurs, largely, as a result of lifestyle factors, and is remarkably different than type 1 diabetes because your pancreas does produce insulin but your body has become resistant to the insulin produced. The leading causes of type 2 diabetes are related to family health history, including ethnicity, eating a diet too high in sugar and poor in essential nutrients, including fiber, among others, and being sedentary. The sinister quality of diabetes is that, if progressed over time, can have a limiting effect on your ability to live actively. Diabetes in combination with other health challenges, including obesity, hypertension, high cholesterol, heart disease, and other disorders and diseases, have a significantly devastating affect on your overall health. Complications occurring as a result of diabetes and other complications can present an additional challenge or layer of challenges making exercise much more difficult to perform. This is the exact same reason that exercise is vital to prevent type 2 diabetes. In fact, the benefits of exercise are awesome for both type 1 and type 2 diabetes. If you have type 2 diabetes, exercise is essential. That said, it is equally important to take very good care of your feet and wear appropriate shoes for walking. Also, you must check your blood sugar regularly to ensure that your blood sugar is at an optimal level for exercise considering your blood sugar value and any medications you are taking because the medications your doctor prescribed may lower your blood sugar. Speak with your doctor about your specific type and dosage of medication and about any precautions you should take to avoid uncontrolled elevation or drop in blood sugar. Eat a well balanced meal as prescribed by your doctor and never exercise on an empty stomach. These are some of the mandatory considerations to evaluate for your specific health concerns and type of diabetes. With all precautions taken, and with the consent of your doctor, exercise could be one of the most important habits you will form. In fact, exercise can save your life. Exercise helps your body regulate blood sugar, burn extra calories consumed resulting in loss of extra body fat, helps you to build muscle and strength, increases bone mineral density, and lowers blood pressure. Additionally, exercise can lower bad cholesterols and raise good cholesterols in your blood, improve the functions of your circulatory system, help you to manage stress and anger, and make you feel energized. If you follow a planned routine of exercise or physical activity for 30 minutes or more, for adults, and 60 minutes or more for children and adolescents, everyday, within a prescribed exercise intensity or heart rate zone, meaning moderate to vigorous exercise or physical activity is most effective for efficiently burning extra blood sugar. 1. “Your Guide to Diabetes: Type 1 and Type 2” National Diabetes Information Clearinghouse. National Institutes of Health (NIH), 21 Jan. 2005. Web. 6 Oct. 2014. 2. “Insulin: What Is the Difference between Type 1 and Type 2 Diabetes?” YouTube. 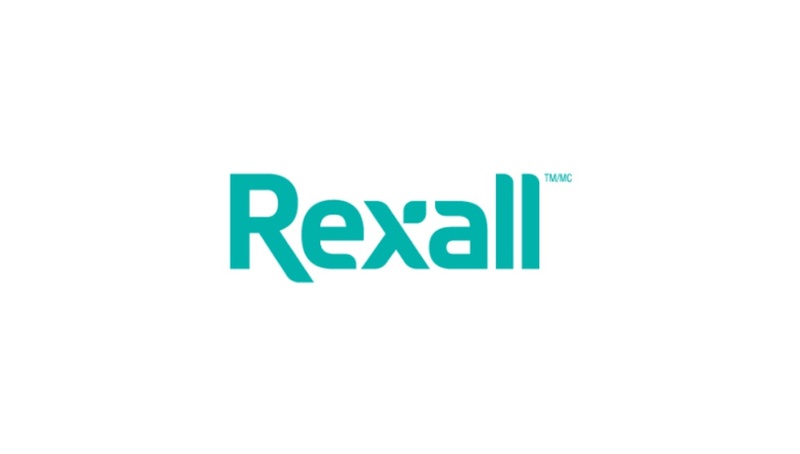 Rexall Health Videos, 20 Jan. 2013. Web. 6 Oct. 2014. Are you interested in type 2 diabetes and exercise? Are you interested in learning about the benefits of exercise for people with type 2 diabetes? Consider hiring a personal trainer. If so, please visit our homepage and use the “find an instructor by city” search bar.